With over 99% of the votes counted, the leader of the Party of Regions, Viktor Yanukovich, is ahead of Premier Yulia Timoshenko by 3.47 % in the presidential runoff. According to Ukraine’s Central Election Commission, Yanukovich currently has 48.95 % of the votes, while his rival Timoshenko – 45.48%. Following hectic weeks of tough electioneering, scandals and mutual accusations, D-Day has come for the presidential hopefuls. Adding fuel to the fire, an electoral reform bill pushed forward by Yanukovich’s party, the Party of Regions, was passed just ahead of the runoff. 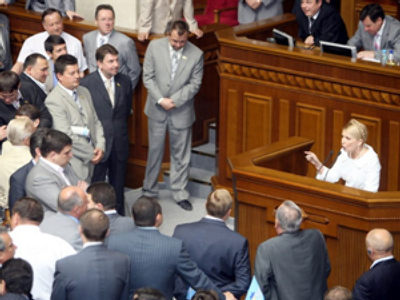 Timoshenko, in response, threatened to urge people to take to streets. Having left behind 16 other rivals in the first round of presidential voting, including incumbent president Yushchenko, the February 7 runoff election will determine both the future course of the candidates, and Ukraine itself. Yanukovich, the leader of the opposition Party of Regions, defeated current Premier Timoshenko 35% to 25% in the first round of voting on January 17. The incumbent president, Viktor Yushchenko, lost his bid for retaining power after only receiving a modest 5% of the votes. Five years after the Orange Revolution which swept him to power, Yushchenko’s former ally and opponent are back in Ukraine’s political ring giving the whole election a feeling of déjà vu. Going to polls, Ukrainians face an uneasy choice – deciding on a path for the country of 46 million people for the next five years. The population is fed up with the political fuss of the last two years and wants stability and confidence in the future. The question is which of the two contenders can lead Ukraine to stability – both economically and politically. Some Ukrainians do not trust either candidate and are tired of the fight for power between the two. Those are the voters who are likely to vote “against all” or simply ignore the election, especially since the weather in February is not very welcoming. Analysts are divided on who will finally win the presidential seat. 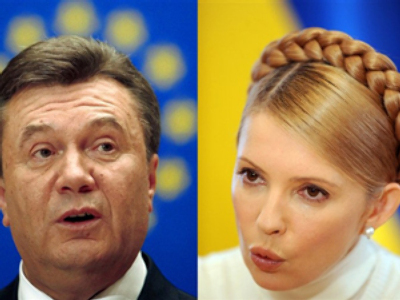 While many see Yanukovich as the front runner, others are confident that Timoshenko will manage to close the gap by picking up votes that were splintered among candidates in the first round. The latest polls, however, gave Yanukovich a 6 to 12% lead in the head-to-head runoff. Another thing that worries many is whether force will be used after the election results are announced. Observers predict there will be claims of vote fraud and do not exclude the possibility that people may take to streets in protest. In an attempt to avoid arepetition of the 2004 scenario, a court in Kiev has banned rallies on the capital's central Maidan square – the site of past protests – throughout this month. East or West? Yulia or Viktor? Traditionally, since the country became independent in 1991, voters in Ukraine have been split in their political preferences and each election has turned into a bitter rivalry, not only between the candidates, but also between the pro-Russian East and the Europe-leaning West. 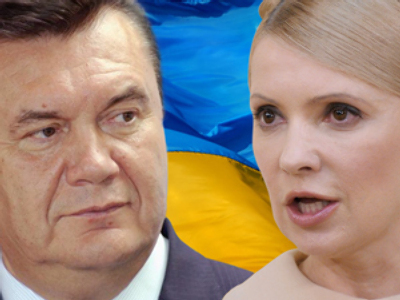 Both Timoshenko and Yanukovich want to integrate with Europe and improve ties with Russia as well. Both have been trying to lure voters with lavish promises. However, the 49-year-old Prime Minister, one of the leaders of the Orange Revolution, is seen to be more pro-Western. 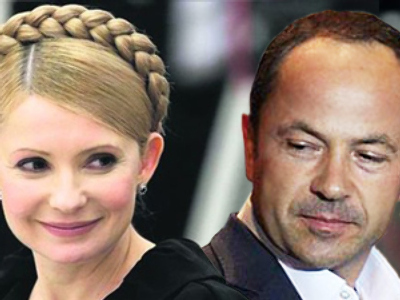 Nicknamed the “Gas Princess” for her earlier involvement in the energy sector (where she is believed to have earned a fortune), she has an ambitious plan to bring Ukraine into the EU within five years if she wins the election. Timoshenko believes “we are capable of rising to the level of European standards on democracy, human rights, quality of life and political culture". "And once we build Europe in Ukraine, Ukraine will become a member of the European Union. The potential of existing cooperation and mutually beneficial economic cooperation will serve as the foundation for friendly relations with Russia and other CIS countries." She stands for pragmatic relations with all countries “based on the priority of national interests and significantly increasing Ukraine’s competitiveness in the global arena”. 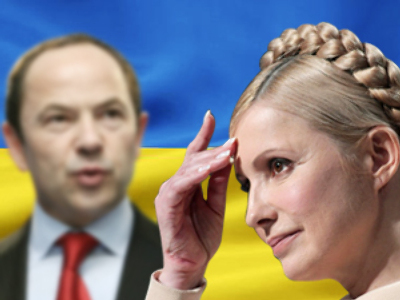 As part of her aggressive presidential campaign, posters were placed throughout the country showing Timoshenko wearing a Ukrainian peasant-style hair braid and stating: "Ukraine will win! Ukraine means you!" During her campaign, she carefully crafted an image of being a devoted fighter against corruption, constantly casting accusations at her opponents. “We will establish order in government and there will be order in the country,” her presidential program reads. Energy independence, a health insurance system “accessible to all citizens” and “fair distribution of wealth” round out her platform. 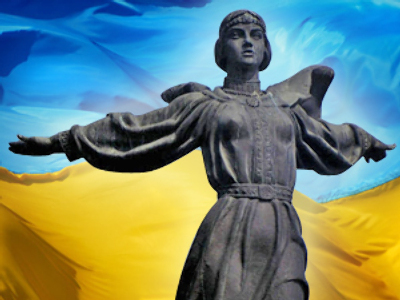 However, Timoshenko's insistence that Ukrainian should be the country's only legitimate language for education, business and in the courts made her unpopular among the Russian-speaking population of the East and South of the country. In September of last year, she issued a directive obliging teachers to speak only Ukrainian at school, even during breaks. On February 4, three days prior to the vote, Ukraine’s Constitutional Court found that the Cabinet of ministers exceeded its powers and the decree was declared unconstitutional. Her opponent, Yanukovich, on the contrary, promised that if he wins the presidency he will pass a law permitting the broad use of the Russian language within those territories populated mainly by Russian speakers. Characterizing his bitter rival, Timoshenko said "we are from different worlds, from different galaxies, from different dimensions", Itar-Tass wrote. In 2004, he was declared the winner of the presidential vote, but later, following street protests that became known as the Orange Revolution, his victory was ruled fraudulent and annulled. Just like his opponent, the 59-year-old sees integration with the EU among his aims, if elected. “Europe does not give us prospects, and we understand it,” he said in an interview with the Spanish newspaper “El Pais”, as quoted on Yanukovich’s official website. “Therefore, we should work in order to modernize the country by applying social, economic and technical European criteria. ‘Marriage’ with the EU could only take place with the consent of both sides. We do not want to compel a fiancée, but we will fulfill our obligations and become reliable partners for Europe, Russia and the US. We would like to have trustful, effective and mutually beneficial relations with all of them,” he said. 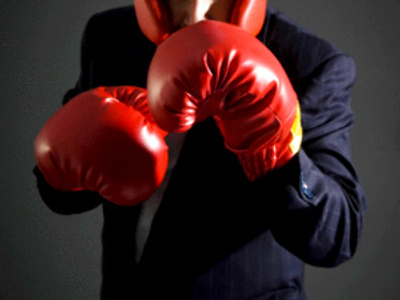 However, Yanukovich will not urge the country to join NATO. Also, he hinted that the issue of Russia’s Black Sea Fleet – which is using a naval base in Crimea as part of a 1997 lease agreement that expires in 2017 – is negotiable. Back in November, RIA Novosti wrote, he said that this topic should not be politicized. “Taking into consideration our international obligations, earlier undertaken by Ukraine, we must not politicize the issue and appear like an unreliable or unpredictable partner,” he said. Yanukovich said the position of the Ukrainian authorities on the issue was the result of a negative attitude towards Russia. “[Foreign] policy has to be balanced and mutually beneficial,” Yanukovich added. His main slogan is "Ukraine for the people." The candidate is quite experienced in politics. Previously, Yanukovich served as Governor of the Donetsk region in eastern Ukraine, where he is still hugely popular. He twice served as prime minister, first under President Leonid Kuchma and then, from August 4, 2006, to December 18, 2007, under current President Yushchenko.